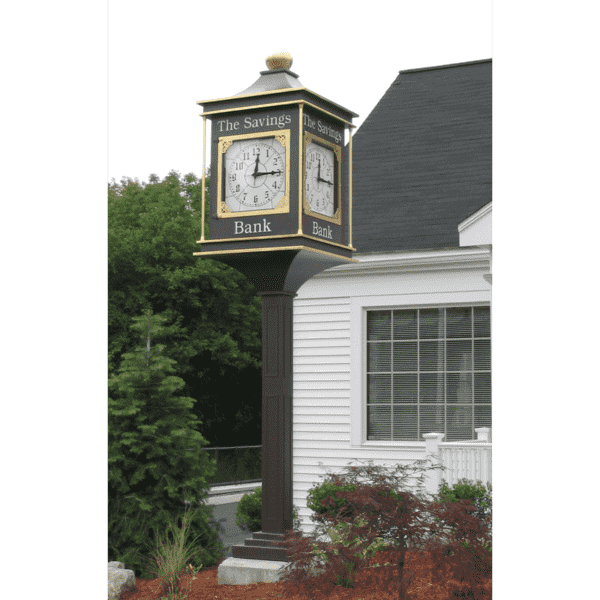 Electric Time Company’s Large Four Dial McClintock Replica Street Clock features lettering, hinged doors and corner rods on the its clock head. This clock is a favorite of banks and is perfect where additional signage is desired. 4 Dial LED lighted street clock.